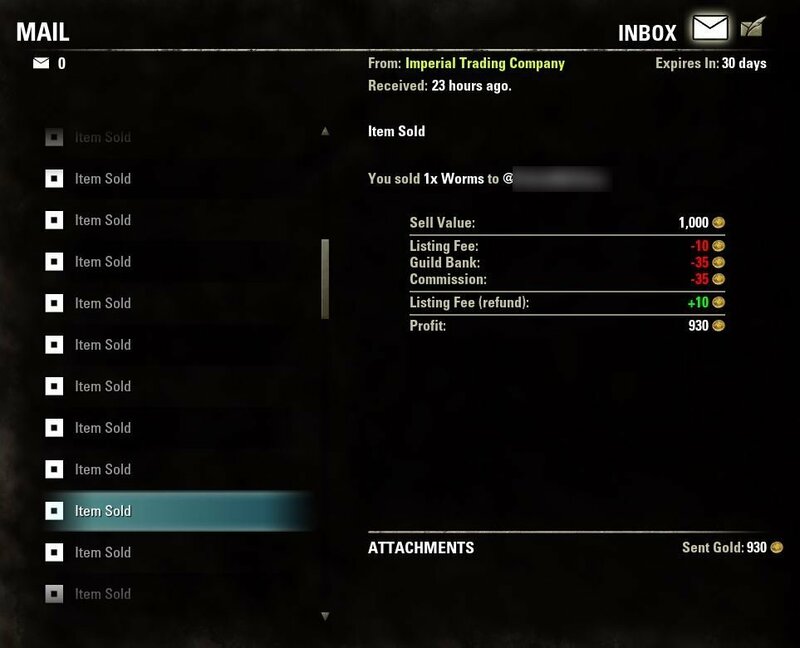 When receiving the expiration mail because of no selling, could you show the price we fixed ? And thanks for the update. Great new features! Last edited by ContraTempo : 08/24/15 at 06:06 PM. 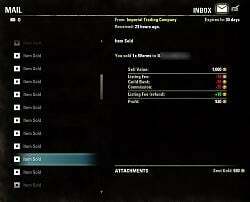 As a heavy trader, I don't really care about total cost but only care about unit cost. 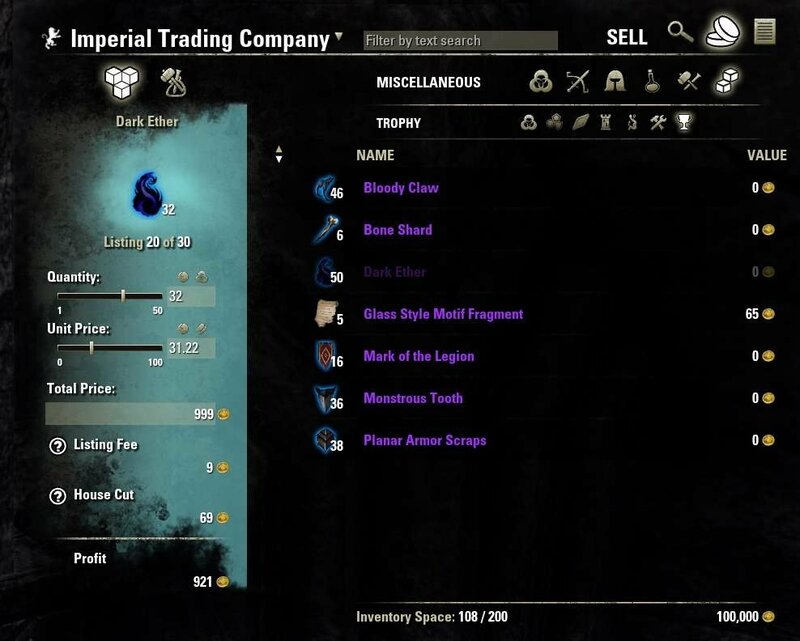 Some mats have hundreds of listings and it would be great to be able to sort lowest cost per unit. 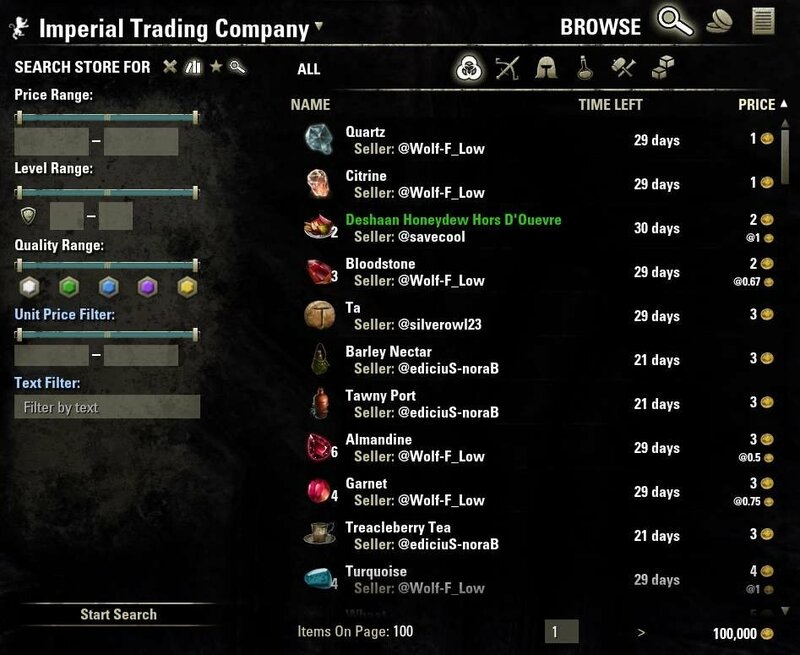 Can we have an option to remove the history panel? I don't use it at all and it takes up so much screen real-estate. The reason it's important is I have complex favorites that get quite long so I have the window pretty large and it overlaps other windows I have open. 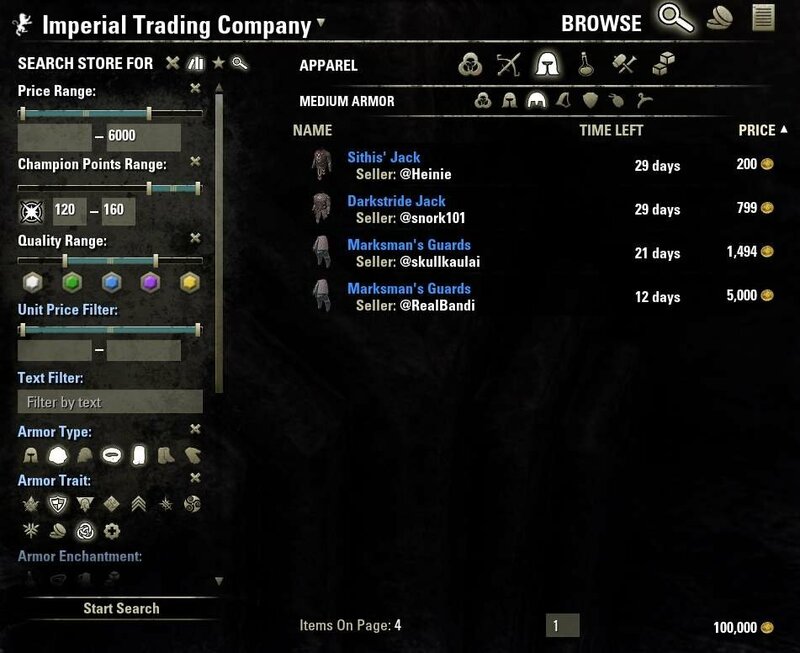 @Karraxx Are you filtering for provisioning materials or just searching in "All"? Fish should not show up when you filter only for the mats. Hiding certain items could be done locally like with the text filtering, but not on the server side. @merlight: Noted. It will take some time until I have implemented a way to sort search results locally. @Ayantir: That's already planned for the future. 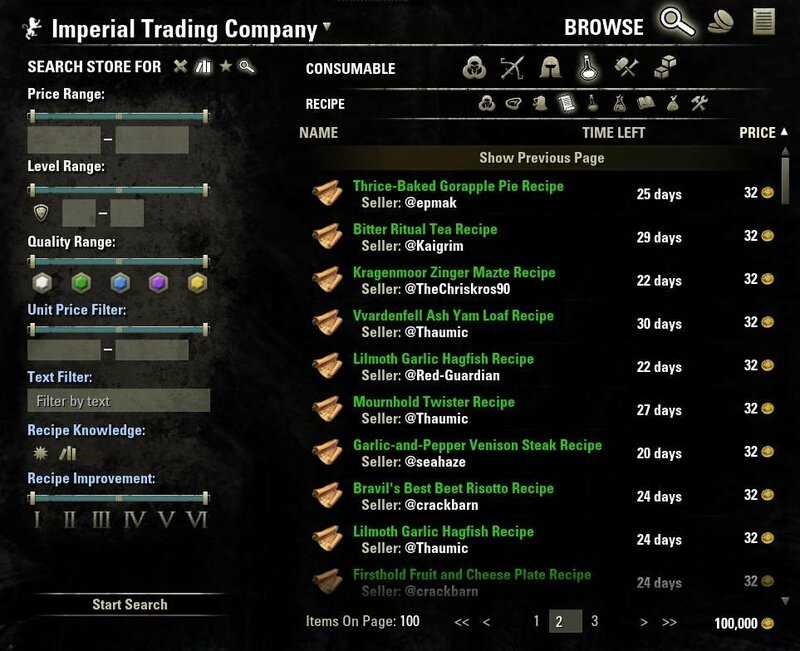 Feature request: sort Listings by item type. But not exactly per ITEMTYPE_* numeric value. 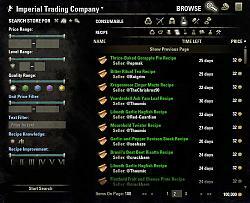 For example I'd like to see a block of recipes, then ingredients, then food, then drinks, then alchemy solvents, then reagents, then runes, then all *_BOOSTER items, etc. Last edited by merlight : 08/19/15 at 05:13 PM. 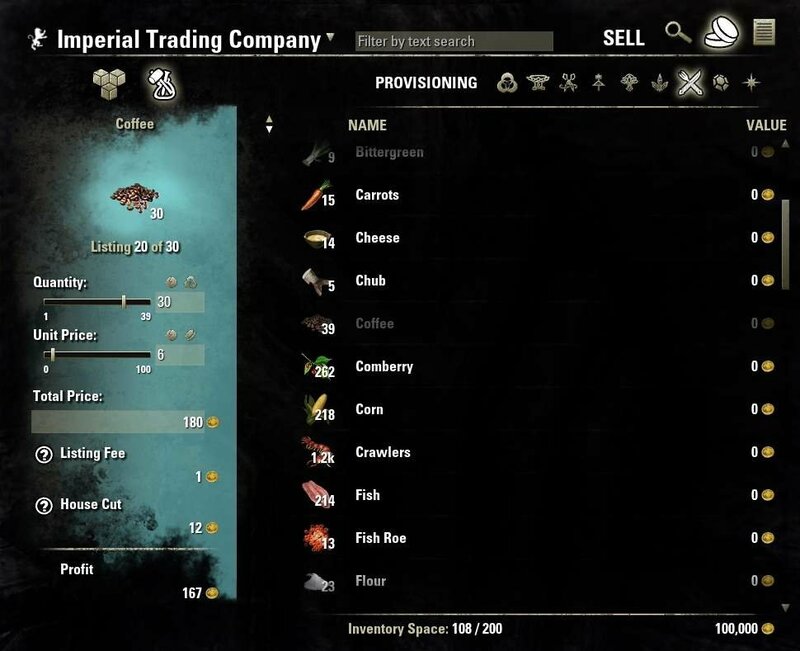 Any chance to have a filter for unfilleted fish added? I tried looking under each main filter, but raw fish doesn't show under any of them. So it seems like the only way to search a store for unfilleted fish is to clear all filters and search all....which can be really painful. Any help with filtering raw fish would be great! And thank you...this add-on is a life-saver! Edit: Sorry...I just saw your post in July about adding fish to the next update. Thank you! Can't wait! allwe can 0 just w8 ._. 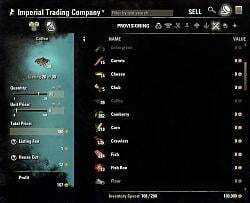 is it possible to not view certain items when searching for stuff (eg- fish), or is it not possible due to API limitations? Last edited by Quillyne : 08/09/15 at 09:38 PM. I hope I have done it justice. It is just so awesome. Thanks for letting me know. Nice writeup on how these two make your life easier. Skyrim conquerer. 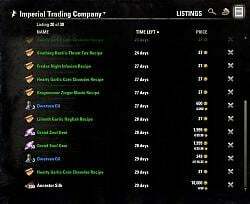 Morrowind and Oblivion vet. Long-time single-player computer gamer W/custom-made hi-perf PC W/2 vid cards in Xfire. 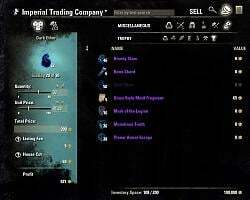 I just play ESO lately, used to play RTS and action games such as the Far Cry series. 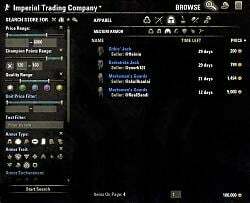 Crappy satellite Internet very laggy pings 700-1000 not good for gaming, can't play most online games but ESO works good enough. Last edited by HalloweenWeed : 08/07/15 at 04:09 AM. 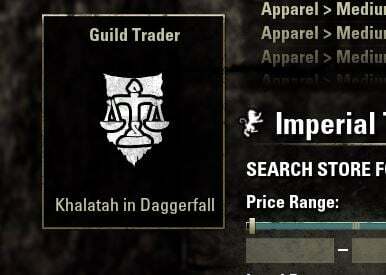 Is anyone else having problem where after opening guild store and sorting items by price in ascending order (cheapest first) will always result in 0 items found (and clicking show more results is not doing anything) while switching to descending price will load all items properly? 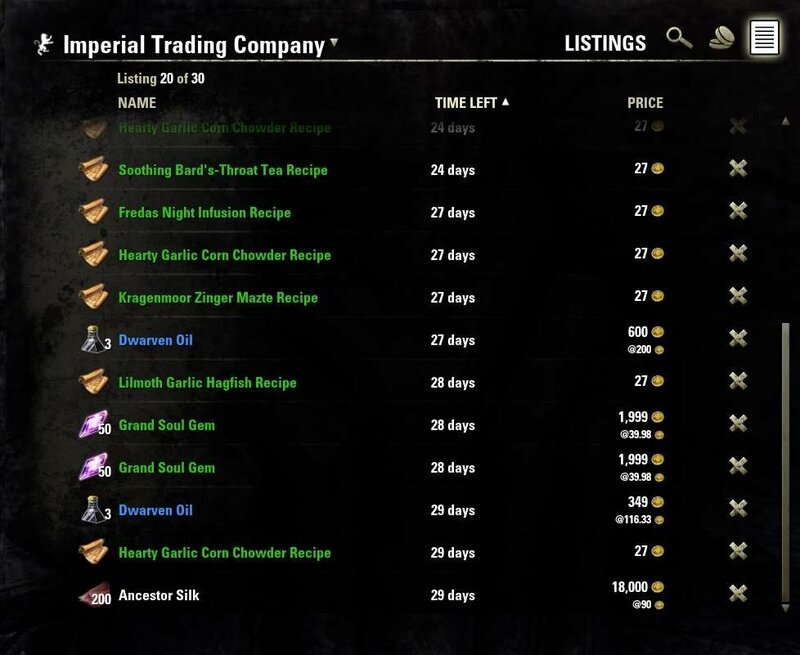 I haven't encountered this problem and I use this sort order quite regularly to find the cheapest recipes in a store. If there are many results, you have to keep in mind that your inpage filters (blue title) might hide all results on a page that do not fit. If you are searching the whole store for a certain text you might not get any results until you get to a later page which can be more than 40 at times. It's always a good idea to first use the server side filters (white title) to cut down the results that get returned and only then use inpage filters to look for something specific.